At last, the next iPhone is here—except it’s not quite the slimmer, big-screen iPhone 5 that many were hoping for. Instead, meet the iPhone 4S, which looks exactly like the iPhone 4 on the outside but boasts “entirely new” components on the inside, including a faster processor, a sharper camera, a voice-activated “intelligent assistant” that’s at your beck and call, and a new carrier: Sprint. All very nice, but do you really need to upgrade? Good question; some thoughts, after the jump. 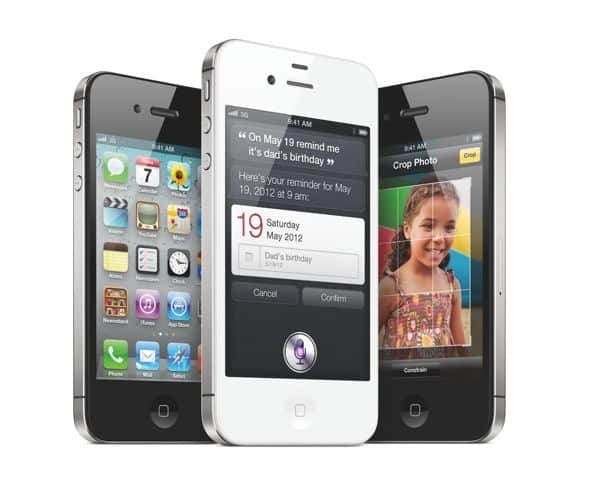 So, when will the iPhone 4S arrive? Think October 14, Apple says, with pre-orders slated to begin October 7 (this Friday). The various price points should look familiar to current iPhone owners: $199 for the 16GB version and $299 for 32GB, with a first-ever 64GB iPhone 4S going for $399. As far as how the iPhone 4S looks, well … it’s pretty much an exact replica of the iPhone 4 design, right down to the metal antenna band and the glass panels on the front and back. And yes—same thickness, same 3.5-inch display, despite all the rumors of a new “teardrop” profile and a larger, four-inch screen. Crack open the iPhone 4S’s hood, though, and you’ll find Apple’s new A5 processor, the same as in the iPad 2. With its dual-core design (meaning two processors on a single chip), the A5 delivers twice the processing speed of the iPhone 4, along with seven times the graphics performance, Apple promises—good news for mobile games, not to mention anyone who’s ever frustrated by a poky iPhone app. Also new: a revamped eight-megapixel camera, complete with 1080p video recording, image stabilization, face detection (for automatically focusing on the people you’re trying to snap photos of), and improved white balance. Apple boldly claims that the camera in the iPhone 4S will make you want to ditch your old point-and-shoot; the proof’s in the pudding, of course. 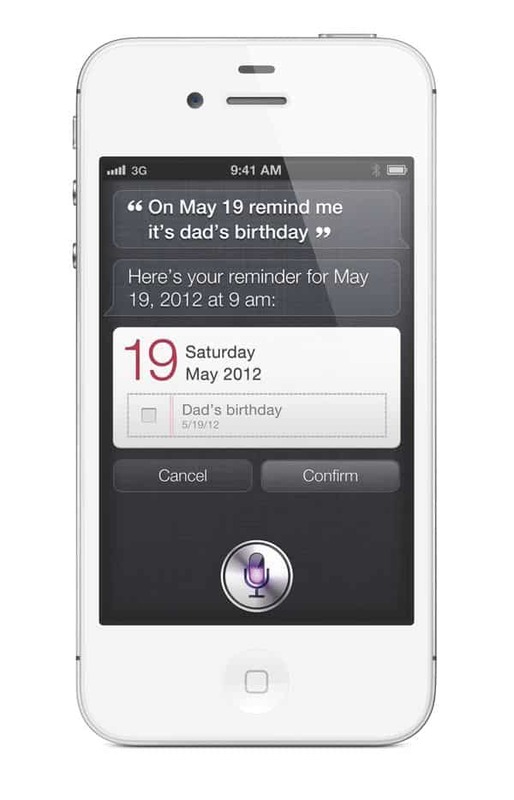 Perhaps the most compelling new iPhone 4S feature, though, is Siri—a new, Jetsons-like “intelligent assistant” that responds to natural-language voice commands and questions. The new Siri "intelligent assistant" in action. Just fire up Siri, then ask it questions like “What’s the weather like?” or “Are there any Greek restaurants nearby?” and within a second or two, you’ll see a weather forecast pop up on the screen, or a listing of neighborhood eating establishments. You can even dictate text messages using Siri, or ask the thing to check your calendar. Interesting … but will it actually be useful? After all, the iPhone has long had a voice command feature for calling a contact using just your voice, but its performance is so iffy that personally, I rarely use it. That said, I’ve yet to try Siri for myself, so I’ll hold my fire for now. Another invisible improvement on the iPhone 4S is improved antenna technology that promises better call quality, not to mention “world phone” support for roaming on international cell phone networks. The new iPhone can also connect to speedier HSPA+ data networks, which offer download speeds up to twice as fast as on the iPhone 4. So … should you upgrade? Well, that depends on how you feel about your current iPhone (or Android phone, for that matter). Yes, the new iPhone will have a faster processor and a sharper camera … but if you’re happy with how your iPhone 4 performs right now—and given the lack of earth-shattering changes in the iPhone 4S—you might be better off sticking with what you’ve got. And here’s another thing to consider: Apple just dropped the price of the 8 GB iPhone 4 to $99, while the 8 GB iPhone 3GS will be free. Both require two-year contracts and data plans, of course. But while the iPhone 4S won’t look much different than the iPhone 4, it certainly does promise to run faster—a lot faster, apparently. Video recording looks like it may be much improved on the new iPhone, particularly thanks to the image stabilization feature, good for making your hand-held videos look less herky-jerky. And if the Siri “intelligent assistant” sounds compelling, bear in mind that it’ll only work on the iPhone 4S, not the iPhone 4 or any earlier models. So, questions about the new iPhone? Excited, or disappointed? Let us know in the comments!